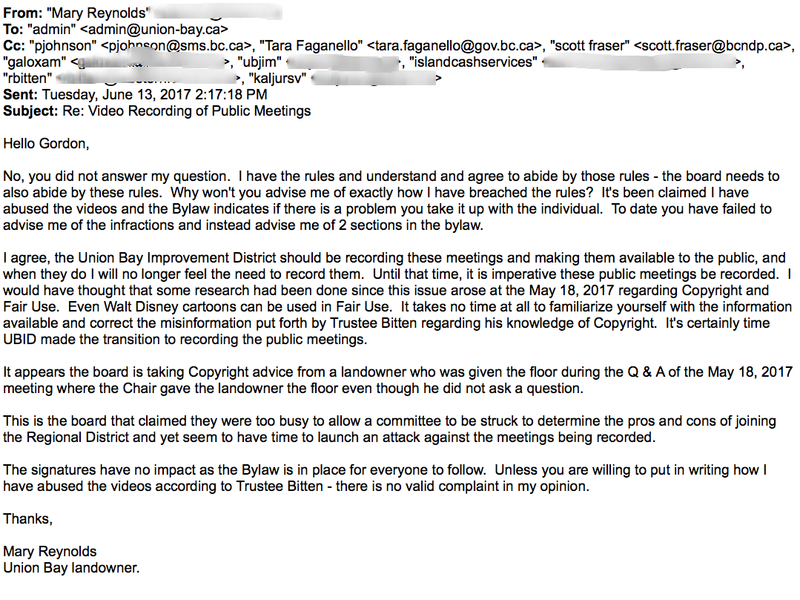 What are these trustees afraid of? 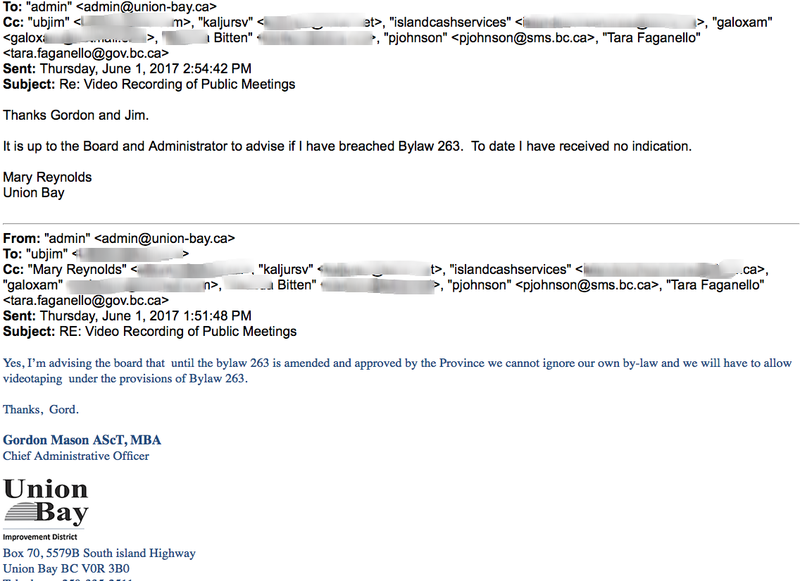 The time expended by a board who claims not to have time for anything other than meeting Island Health’s mandate. 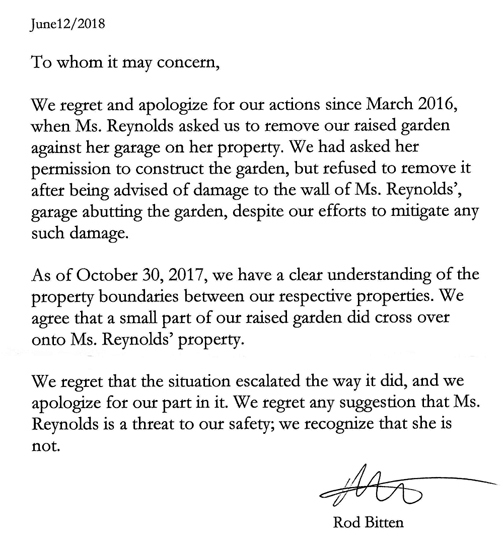 They now are in no hurry to meet the deadline and want to take a couple of months off even though their actions have caused progress to come to a complete halt and we are a full year behind due to their antics with Kensington Island Properties aka 34083 Yukon Inc. 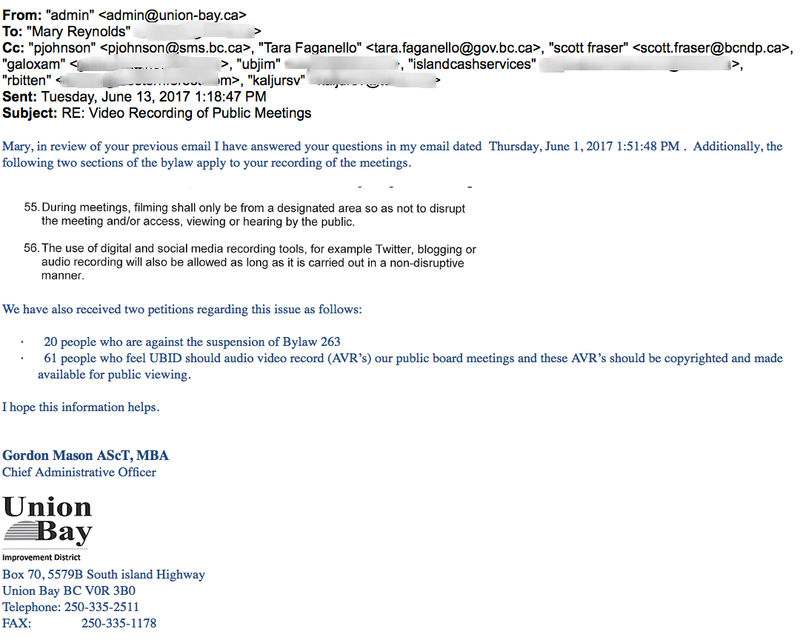 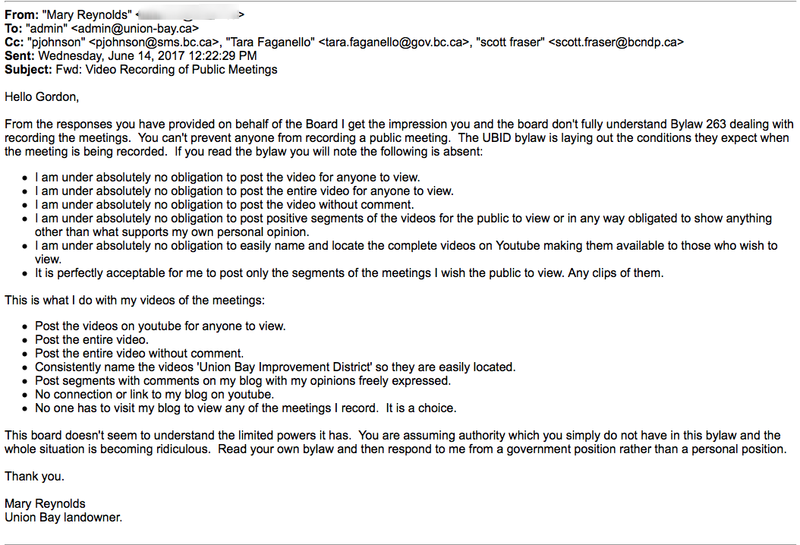 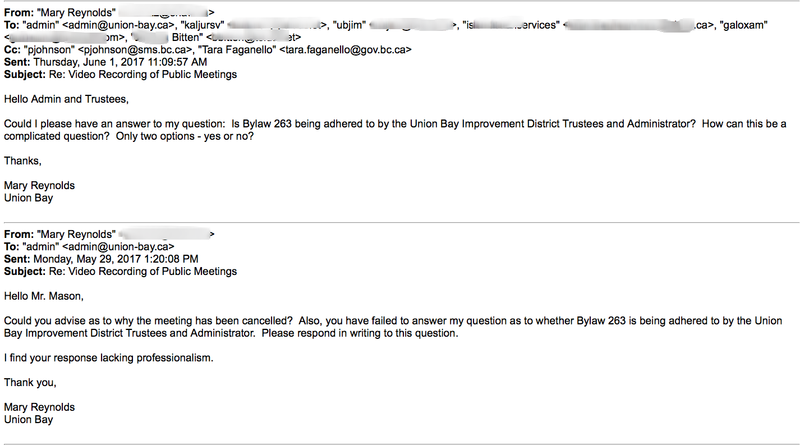 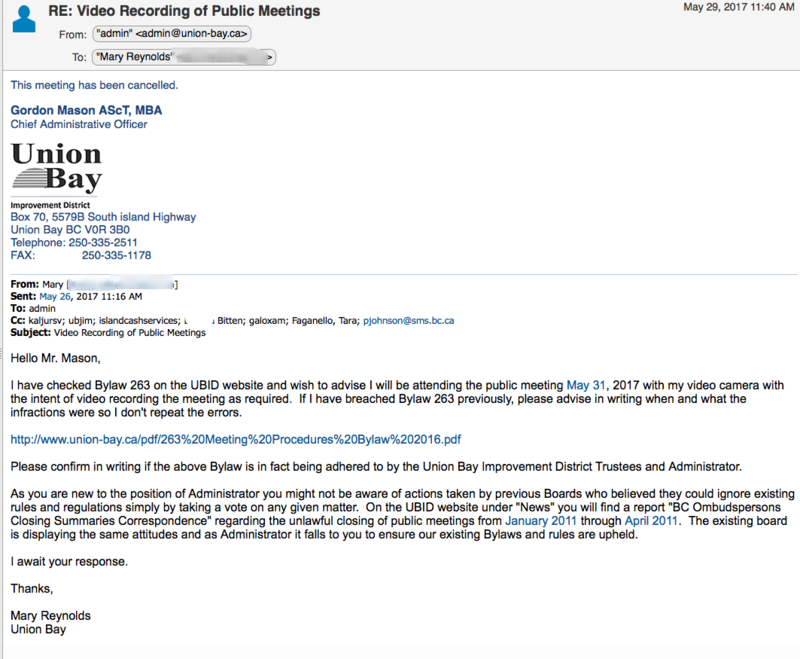 This email did not receive a response or indicate any changes to how the bylaw is enforced. 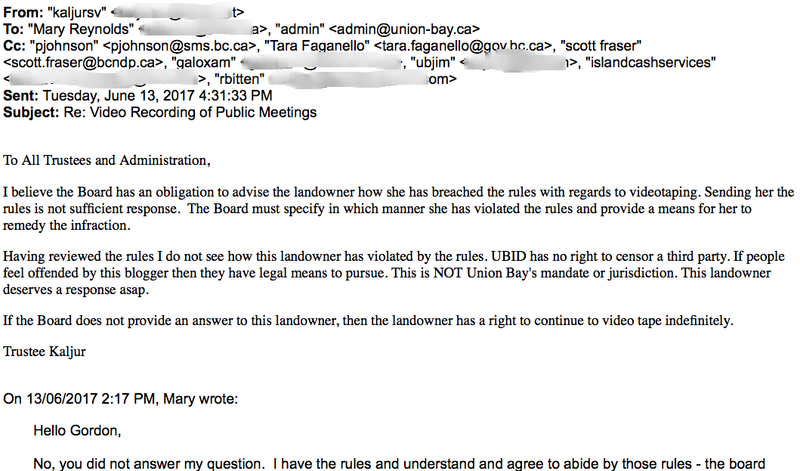 Ruling by secrecy.